Tourism Development & Investment Company (TDIC), master developer of major tourism, cultural and residential destinations in Abu Dhabi, announced the sale of a 91,000-square-metre land plot on Saadiyat island to Bin Otaiba Investment Group, a leading UAE-based developer, for the development of a five-star luxury resort. 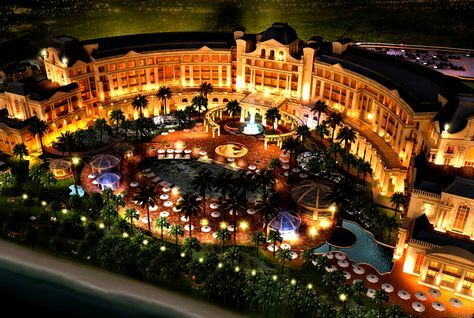 The hotel, scheduled to open on the Saadiyat Beach District in 2015, will comprise 366 rooms and luxury beach villas, restaurants, a spa centre and state-of-the-art gymnasium, conference facilities that can accommodate up to 800 guests, unique sand-bottom swimming pool, gardens, water features and various leisure features. Bin Otaiba Investment Group – which includes a portfolio of distinctive properties and hotels across the UAE, such as Hilton Sharjah, Millennium Hotel Abu Dhabi, and Embassy Suites Hotel in Sharjah – is currently in the final stage of appointing a well-renowned operator. This new development will follow strict compliance with TDIC’s high standards of construction and design guidelines, to ensure the ecosystem remains intact. Particular attention is focused on TDIC’s turtle conservation programme which respects the nesting and hatching seasons. This new resort is a valuable addition to the current hotel capacity on Saadiyat, and the island’s top-class sport and leisure facilities – such as the region’s first championship beachfront golf course, Saadiyat Beach Golf Club, and the world’s first Monte-Carlo Beach Club outside of Monaco, the Monte-Carlo Beach Club, Saadiyat – which are making Saadiyat a very appealing residential and tourism address. The charm of Saadiyat is due to the exclusive lifestyle that the island offers through its leisure, cultural and tourism facilities, as well as what it offers its residential community through a superb mix of luxury villas, high-end townhouses and elite apartments beautifully dotted across Saadiyat Beach District. The Saadiyat Cultural District is set to become an internationally renowned arts hub featuring world-class museums designed by Pritzker Prize-winning architects, which will open on the island starting with the Louvre Abu Dhabi in 2015, and followed by Zayed National Museum in 2016 and Guggenheim Abu Dhabi in 2017.